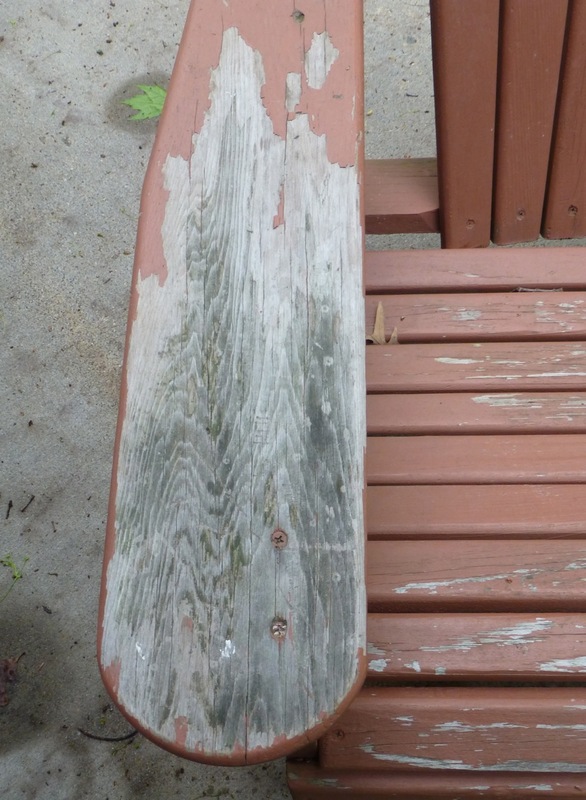 Our outside adirondack chair had gotten to look pretty raggedy. Parts of it were peeling and other parts were okay. What’s a woman to do? Of course! I decided to make this one of my summer projects and it came out beautifully! After reading all the “google” suggestions, I put most of the suggestions together (they didn’t seem to agree) and go with my gut. My chair had water damage from being neglected for so long. On the arm of the chair that had the water damage, I used the 80 grit sandpaper then 100 grit then I finished it off with a 220 grit to make it very smooth. After I finished all the sanding (including the underneath) I took a clean almost wet rag and wiped off the sand from the chair. Then I let the chair dry overnight. The next day, I took my hand and felt the wood to make sure that nothing needed to be redone. Now I was ready to stain the chair. 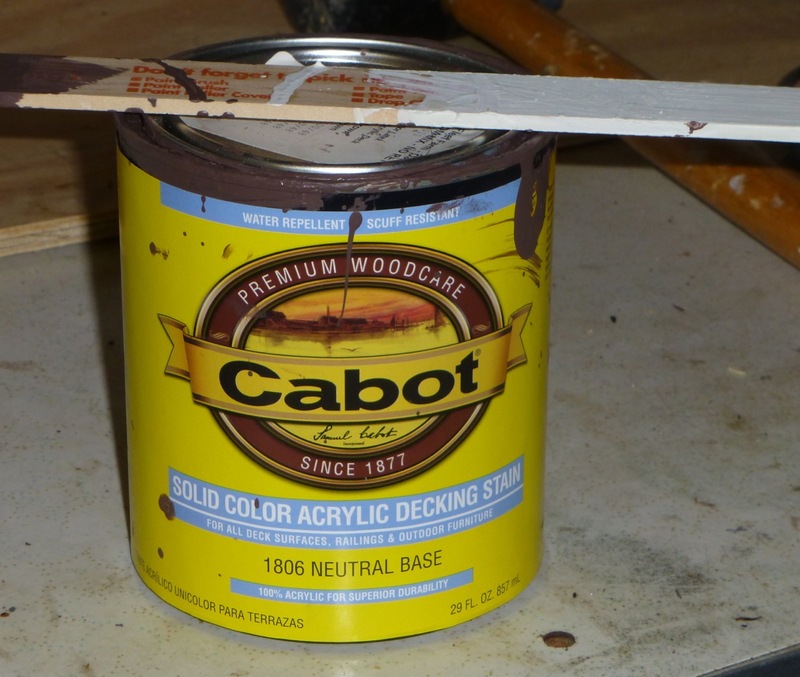 In the garage, I had some leftover Cabot deck stain and pondered whether to use it on this chair. 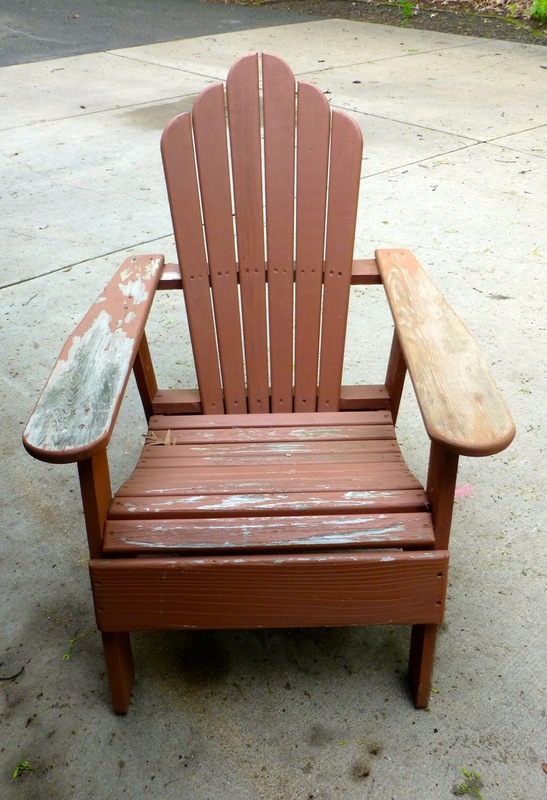 The color was much darker and that would be a good thing as it would cover the “reddish” color stain very well. Using a natural bristle brush, I stained the top of the chair and allowed it to dry. The next morning I stained the bottom of the chair and allowed it to dry. I stained each side three times and allowed overnight drying each time. It appears to have worked perfectly. I could have applied a clear polyurethane varnish on top of the stain but I decided not to as I think three coats should be plenty. 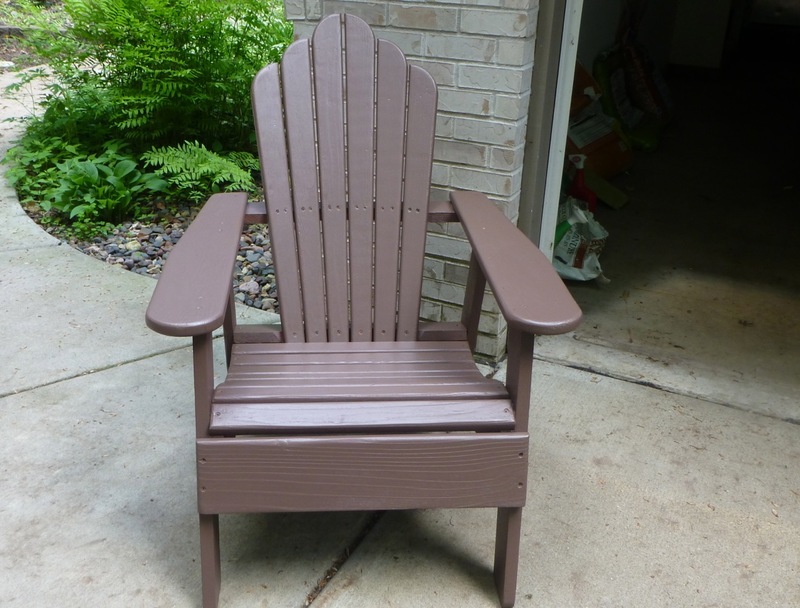 Overall, the project took 3 weeks because I had to have a “life” outside of working on the adirondack. Now — on to another summer project. And I bet you thought all I did was cook, eh?